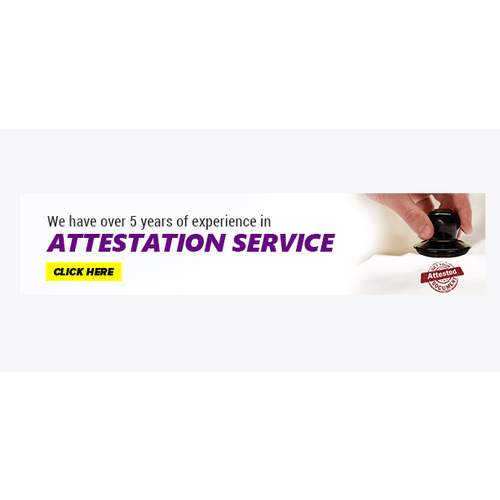 We are involved in rendering Visa Immigration Attestation Services to our most valued customers. Our services are extremely applauded in the market due to timely completion and consistency. These services are rendered employing the advanced techniques. Owing to high demand, we render our services at nominal costs. Established in the year 2016, Vizatt Technologies, are a reliable service provider, occupied in offering Attestation Services, Interview Preparation Service, Tourist Visa Consultancy Services, Visa Stamping Service, etc. The provided services are conceptualized with client-oriented approach to bring the extreme gratification to our patrons. The offered gamut of service is rendered in obedience with the quality constraints by our very capable experts who hold rich understanding in this particular field.